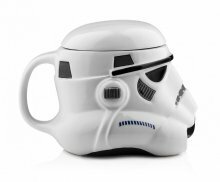 Star Wars Mug - Stormtrooper Helmet 3D Ceramic Coffee and Drink Mug with Removable Lid - 20-oz is perfect for the ultimate Star Wars fan! This Stormtrooper character helmet mug has raised multi-dimensional elements to give it that 3D look. 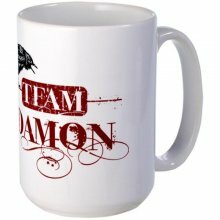 Made from durable ceramic material, this mug is perfect for coffee, tea, hot chocolate, or any type of beverage. It comes with a removable lid which will maintain the temperature of your beverage a little longer than usual. 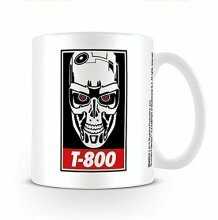 Terminator Genisys Mug T-800 white, printed, made of ceramic. Show the world that you're ready for the cold, or just let everyone know where your loyalties lie! 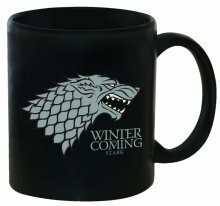 ''Winter is Coming'' mug filled with hot beverage will keep you warm. 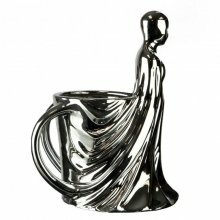 Holds 11 ounces of fluid. This 11 oz. mug is sure to be a hit! Dishwasher and microwave safe printed with crisp and clear images. Features Star Trek characters. 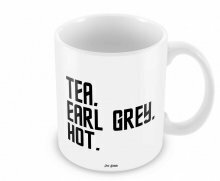 12-ounce mug. Dishwasher and microwave safe. 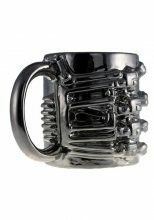 None of your friends have one of these incredible Terminator Hand Mugs, so order this and let the cyborg hand you your java each morning while your pals look on with envy! Hand wash only. Not dishwasher safe. Do not microwave. This Terminator T-800 Head 20 oz. Molded Mug was expertly crafted to look just like a head from one of the killer robots from the Terminator series. Keep it around and you may be the one to bring about Skynet! This mug holds 20 ounces of liquid. Hand wash only. Not dishwasher safe. Do not microwave. 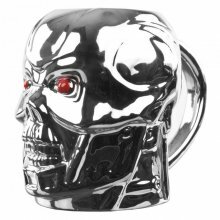 This Terminator has taken the form of your coffee mug! 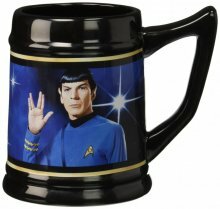 This mug holds 20 ounces of liquid. Hand wash only. Not dishwasher safe. Do not microwave. Ages 12 and up. 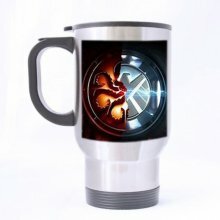 Enjoy your favorite beverage with your favorite Superhero. 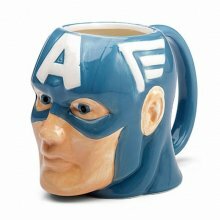 This Captain America molded face mug is the perfect gift for any coffee drinking fan. Hand painted with awesome details. Holds 16oz. 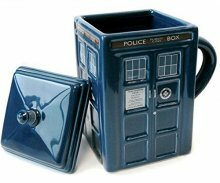 This generously sized crime fighting mug holds enough tea or coffee for your caffeine hit to last all morning. 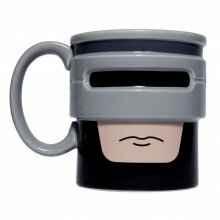 Made of quality ceramic, Robocup is dishwasher and microwave safe. Whether fighting crime on the streets, or out enjoying lavish parties as a billionaire bachelor, Batman rarely worked from home. 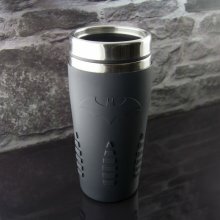 And now this sleek and stylish Batman Travel Mug is just the thing for when you too are out in the Bat mobile. With its textured rubberized finish designed for maximum grip, you will always be ready for anything knowing your favorite drink is right on hand. Holds 15 ounces of liquid. Microwave safe. 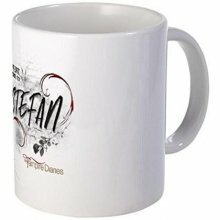 It's a great gift for a TVD fan! Made of high-fired ceramic. It is microwave & dishwasher safe. 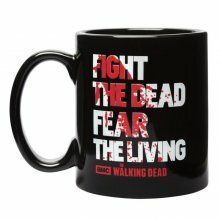 The mug holds 15 oz of fluids. 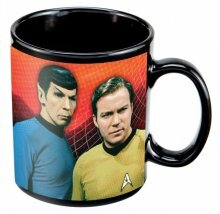 Add hot liquid, and it disappears, only to reappear in a far far away galaxy on the other side of the mug! Holds 12 oz. Disappearing mugs are not dishwasher safe. Features a rectangular shape and a removable lid, it is well made and sturdy. 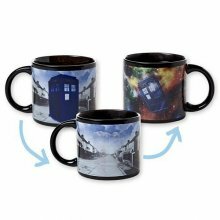 Great gift for any Doctor Who fan! This Star Wars Darth Vader 18-ounce oval ceramic mug is custom sculpted and beautifully crafted to make it one of a kind. 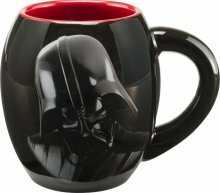 It features photo quality Darth Vader images on both sides and is microwave and dishwasher safe. It is a perfect holiday gift for any Star Wars fan, young or old. Making retro cool since 1957, legends live on at Vandor - suppliers of hip and functional products for fans of all ages.